I’ve been teaching digital photography classes at the Learning Exchange for almost three years. 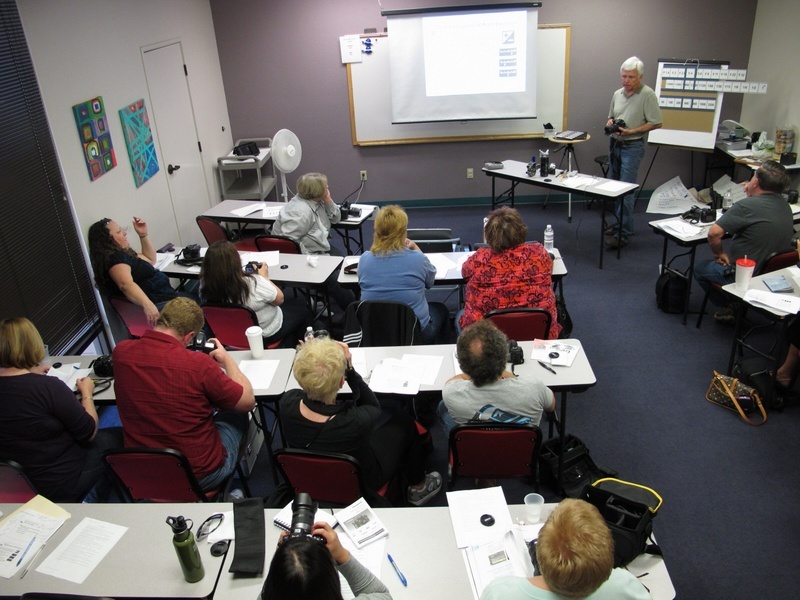 Over 750 people have attended my classes where we cover topics such as digital camera controls, menus, exposure, white balance, depth of field, ISO, motion blur, focal length, focus locking, sensor comparisons, composition, file management, lighting techniques, etc. etc. As I reflect on the classes and step back and get a wider view of my experiences, I realize how lucky I am to be teaching others how to use their digital cameras. So, what’s in it for me? From the questions I hear in the classes, I learn a lot about why people want to make better photographs. And this gives me hope. When I start to fear that our culture is slipping into a quick-paced, short-term-memory, social-media-driven lifestyle, someone will remind me that they really want good, long-lasting memories of their loved ones. They want to capture a special moment and save it in a way that is meaningful to them. It is very comforting to know that some of the simpler things in life, like memories, are still important to people. I learn more and more about my own interests related to photography. Sometimes a student will ask me what I think about when I’m setting up a shot and it forces me to share some things that are quietly resting below the surface of the Obvious. And many of these things are not technical, but emotional. I am reminded why I love to carry a camera with me just about everywhere I go. The student informs and the instructor learns. I relish a good challenge, and when I am asked to help someone figure out a problem with their camera, I enjoy sitting down with them and doing some troubleshooting. The shared moment of discovery as we sort it out adds a fun spark to the interaction. I value the feedback I get from students. They tell me when things in a class are working and when they are not. Those comments help me improve the classes each time I teach. But the most rewarding comments are the ones that describe how they felt. I hear things like, “The instructor answered my questions without talking down to me,” or “He is very easy-going and explains technical stuff in simple terms,” or “Now I’m not afraid to use my camera.” Comments like these tell me that I’ve found a way to help others learn to explore something that, frankly, has become unnecessarily technical and confusing to enjoy. I’ve always heard the best way to learn something is to teach it – I couldn’t agree more.